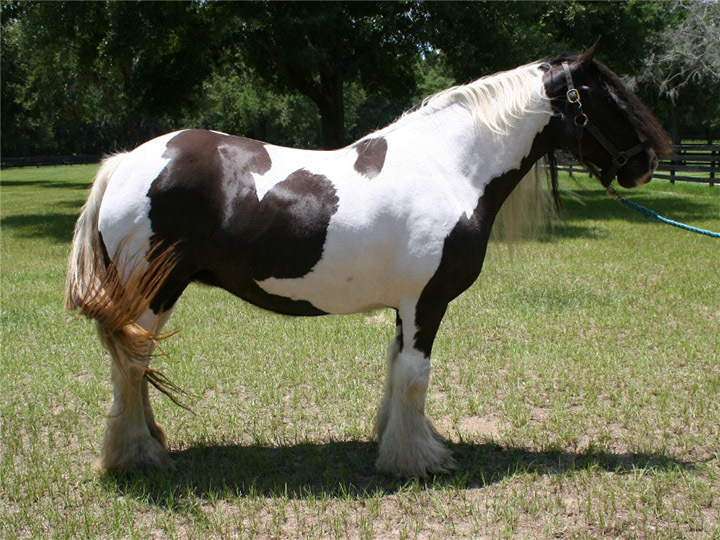 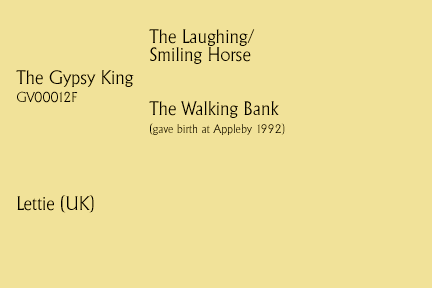 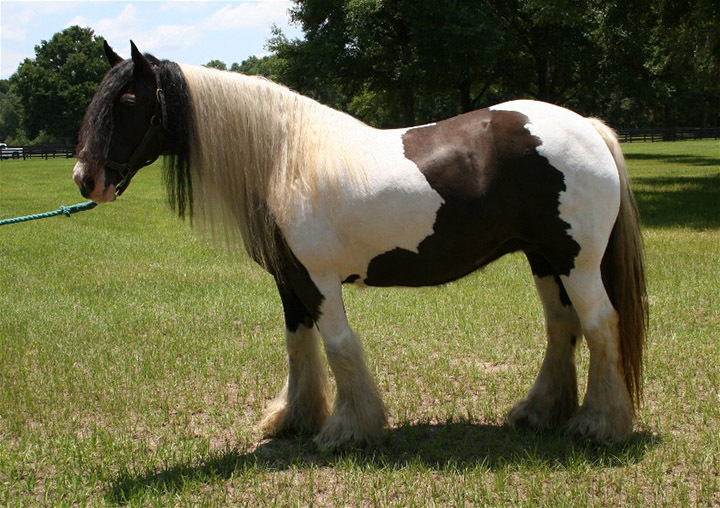 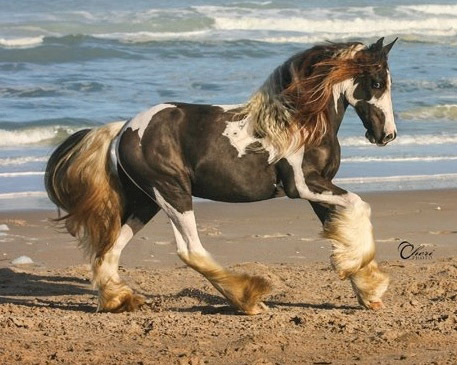 Crown Darby is an amazing producer, she is heterozygous for tobiano and has produced 31 foals to date in the U.S. She is one of the original 16 Gypsy Vanner horses imported to America. 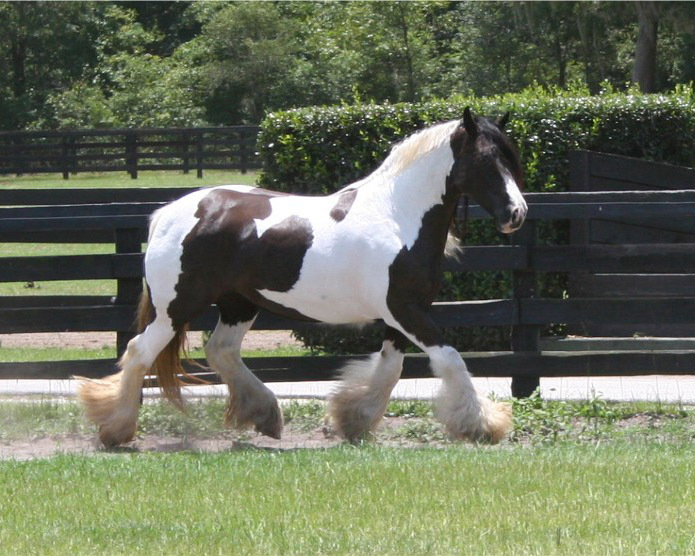 Still going strong at 23 years of age, she is in our embryo transfer program and has been a consistent producer to quality horses that fit the standard of perfection we seek to achieve. 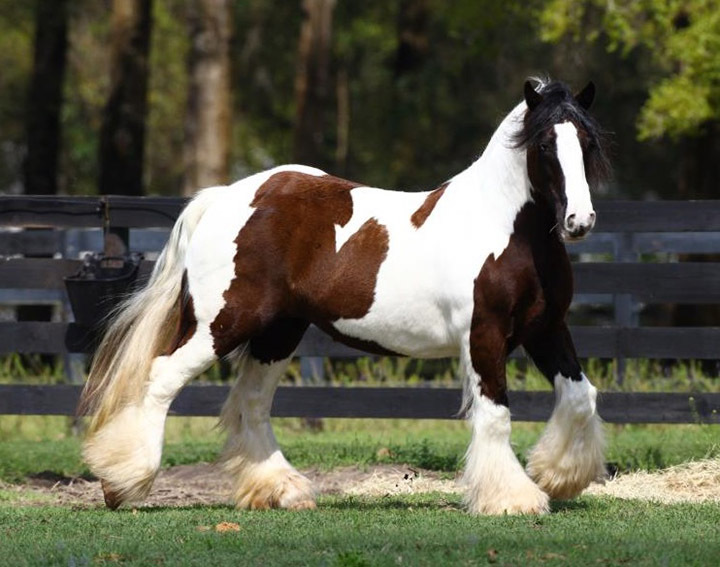 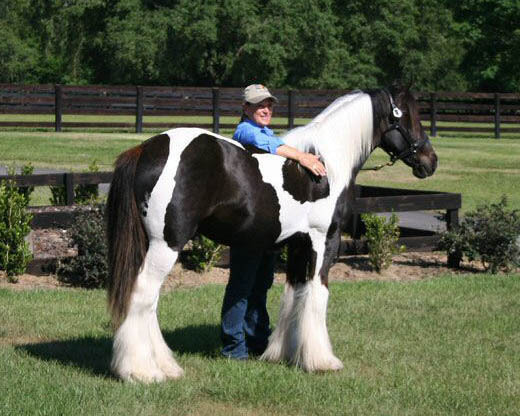 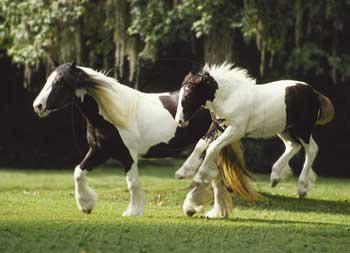 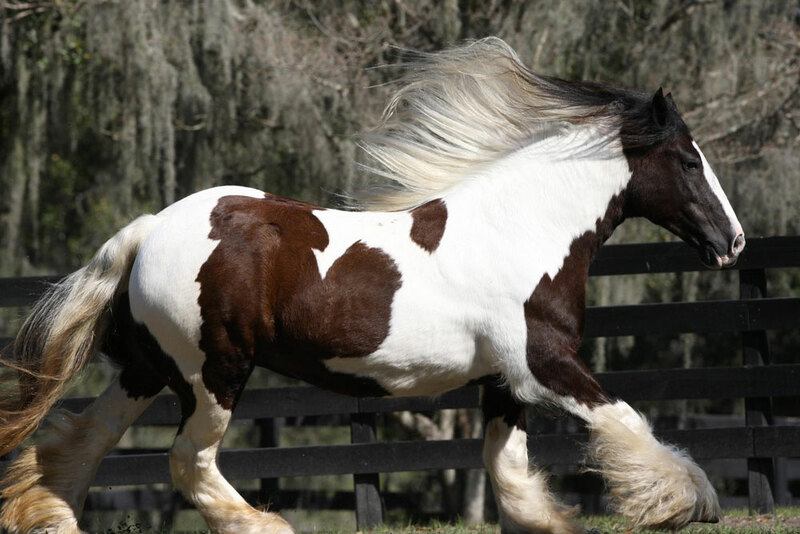 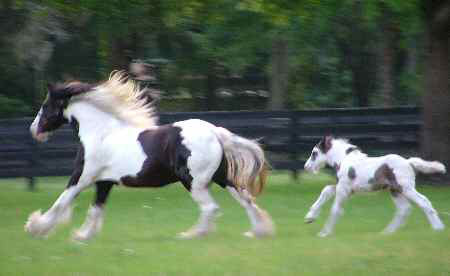 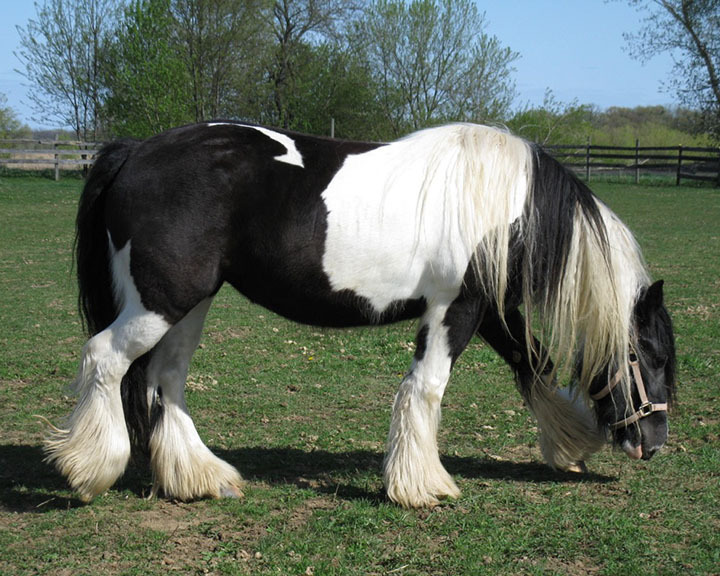 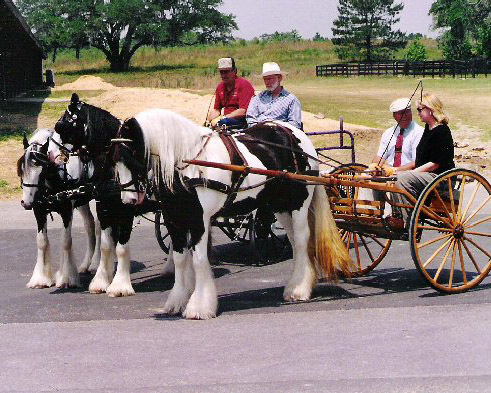 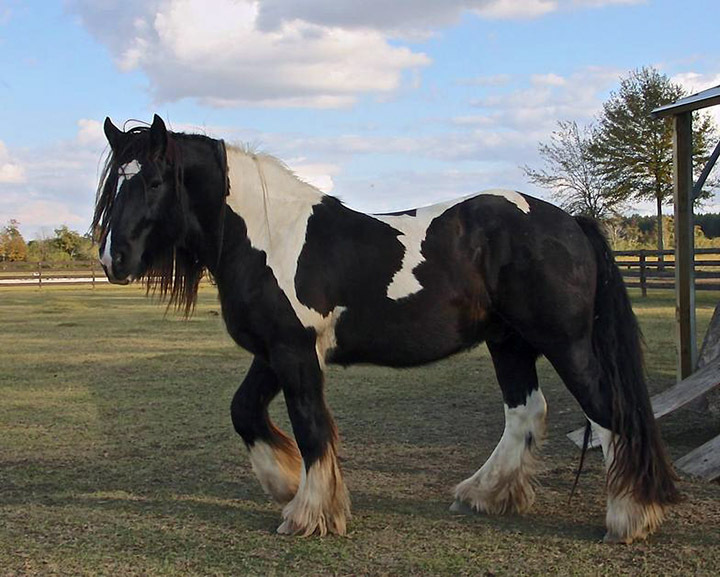 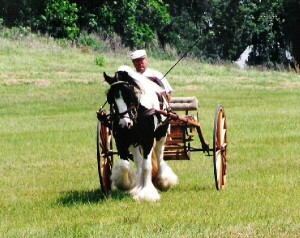 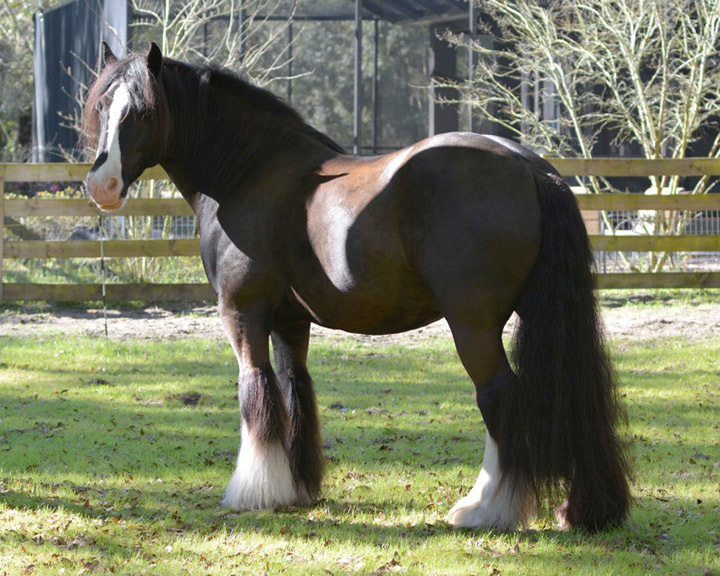 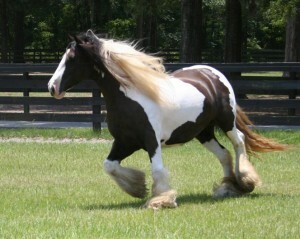 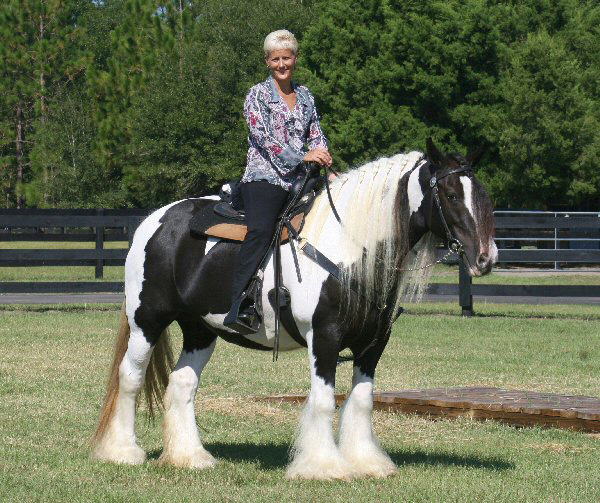 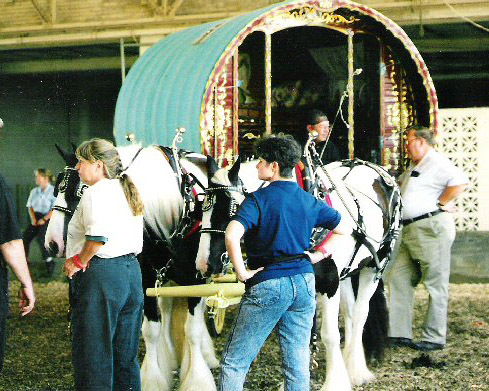 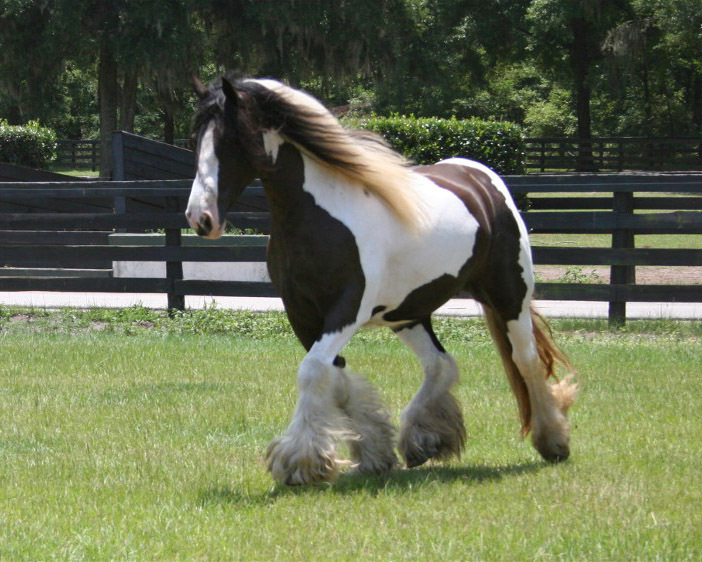 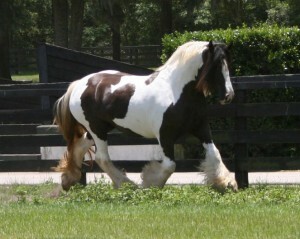 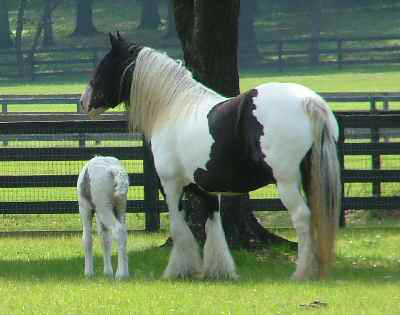 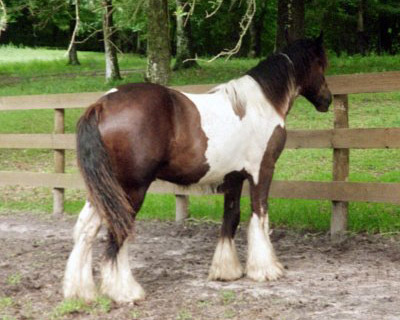 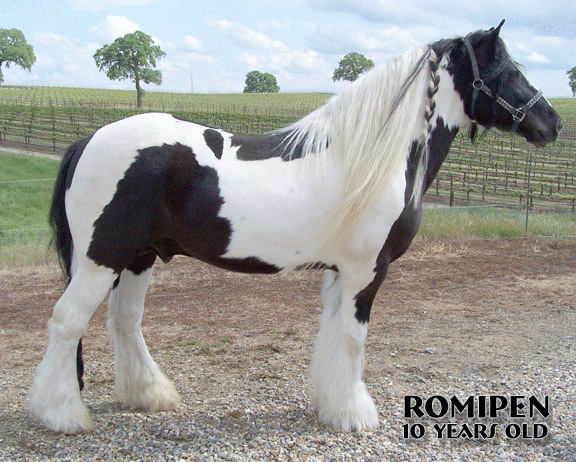 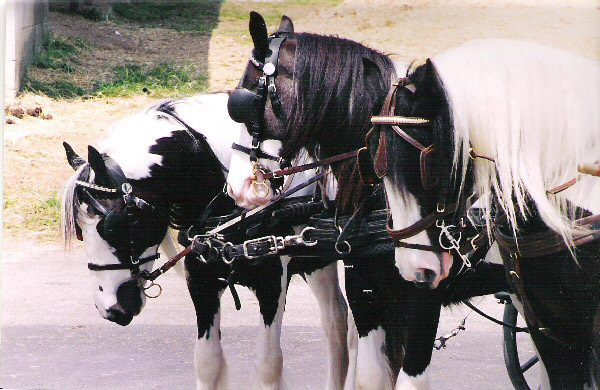 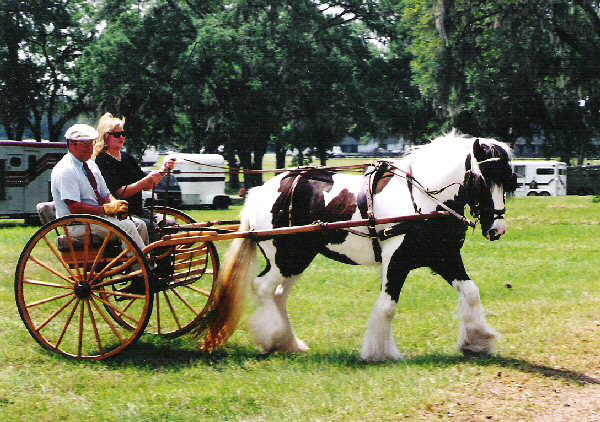 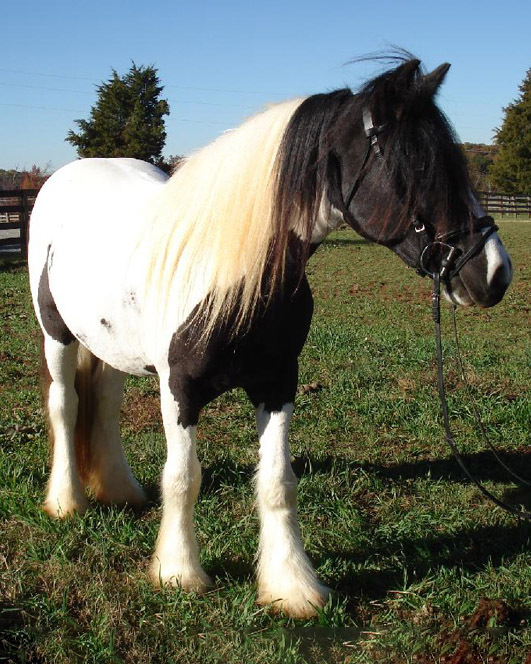 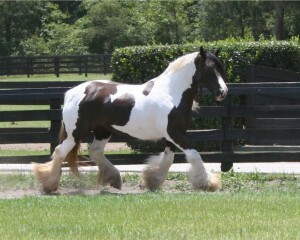 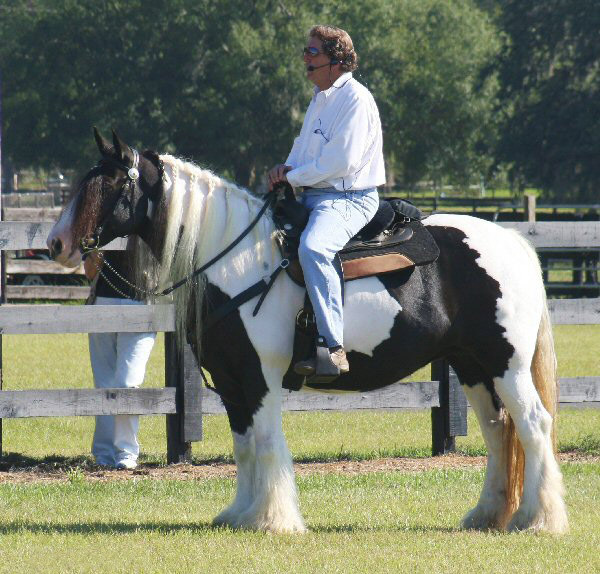 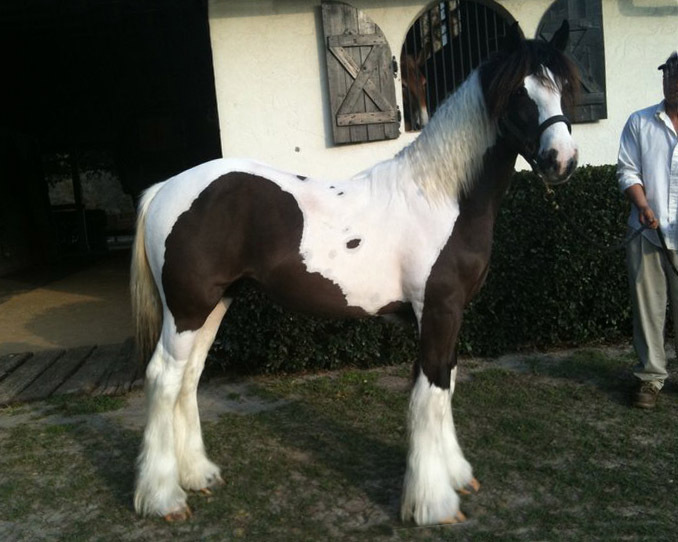 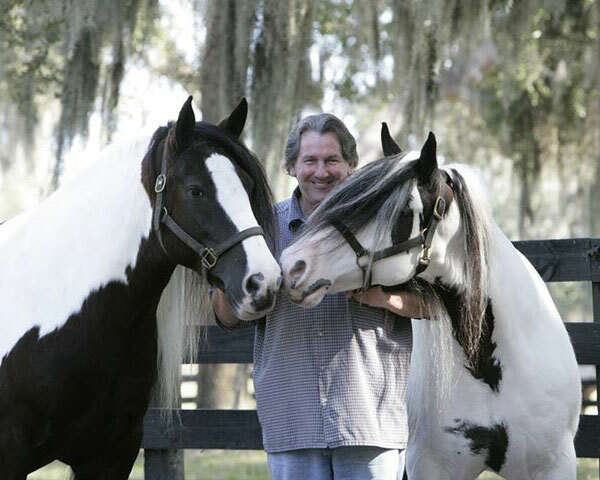 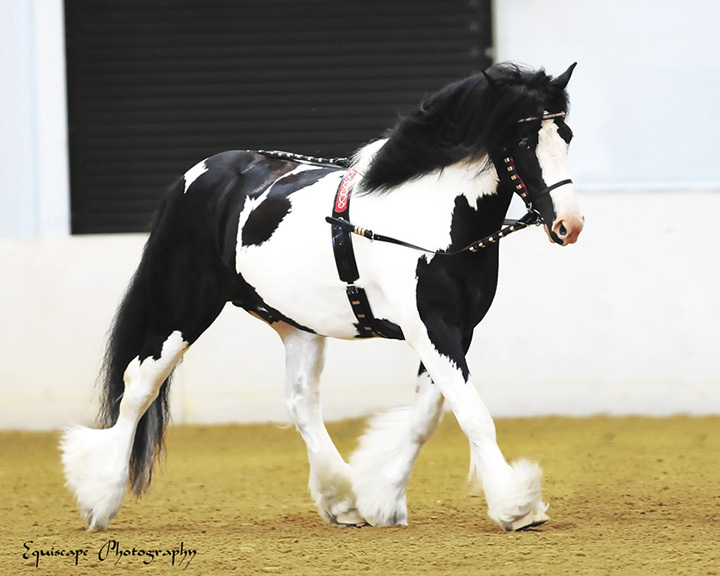 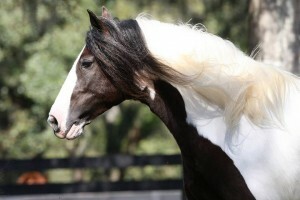 Darby partnered with Dolly was exhibited harness as a pair when they first arrived, and were instrumental in promoting the Gypsy Vanner horse in America.